Enjoy the vibe and modern Scandinavian design! Pure expression and extensive use of natural materials. If you like stunning views from your hotel window, Skarsnuten is the place for you. Our location in the mountains with views over the surrounding mountains and of course Hemsedal valley is fantastic. During winter we also offer ski in/ski out with “our own” ski lift and slopes bringing you directly into the ski resort. Great food and drink is an important part of the experience at Skarsnuten Hotel. The restaurant serves food and wine in harmony with friendliness and warmth. The nature surrounding the hotel invites to numerous experiences, summertime and wintertime. both private visitors and guests belonging to a group or conference. The balance between modern architecture and good old fashion hospitality makes it easy to enjoy life at Skarsnuten. 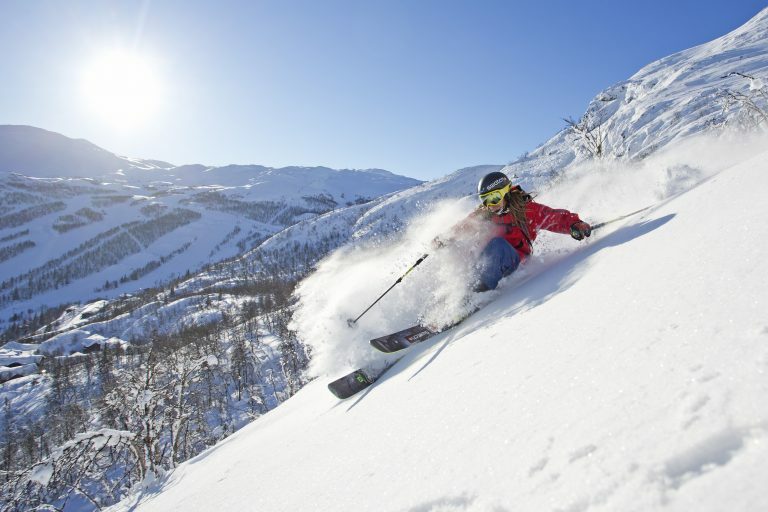 Hemsedal is located in the Norwegian mountains right between Oslo and Bergen. There are several possibilitets on how to get to Hemsedal. From Oslo and Bergen you can take the train to Gol, and switch to a corresponding bus there to go to Hemsedal. During winter we provide a shuttle service to the Hotel and there is also a ski bus running. During summer you would have to take a taxi.